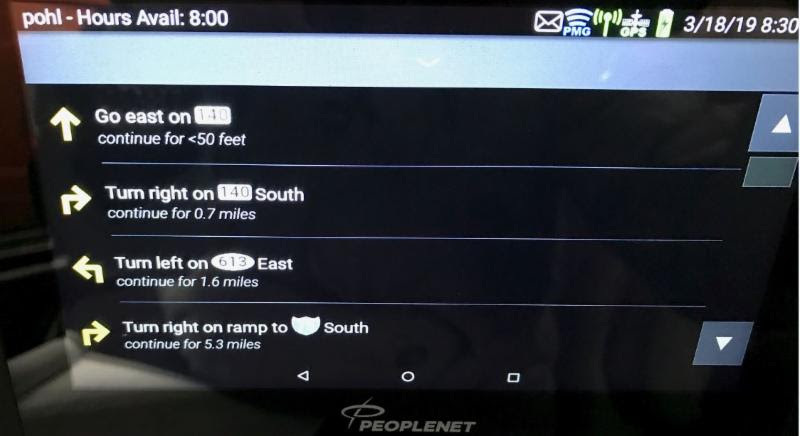 Of all the differences with the new system, the routing portion brings about the most changes. 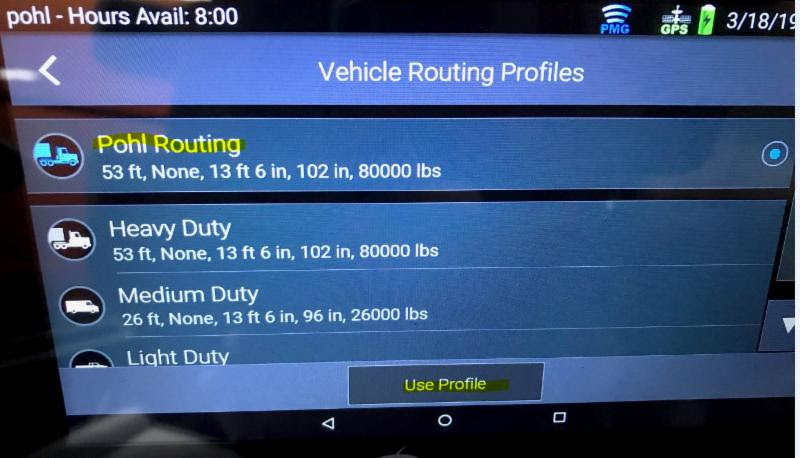 When your routing starts, you will get the screen below. It defaults to Pohl Routing, all you need to do is tap Use Profile. Blue Dots- with the old system, any changes were done to the routing by tapping the Blue Dots. With the new, it is done by tapping the white circle in the upper left hand corner of the screen. Options- Once you hit the circle, all of your routing options will pull up. 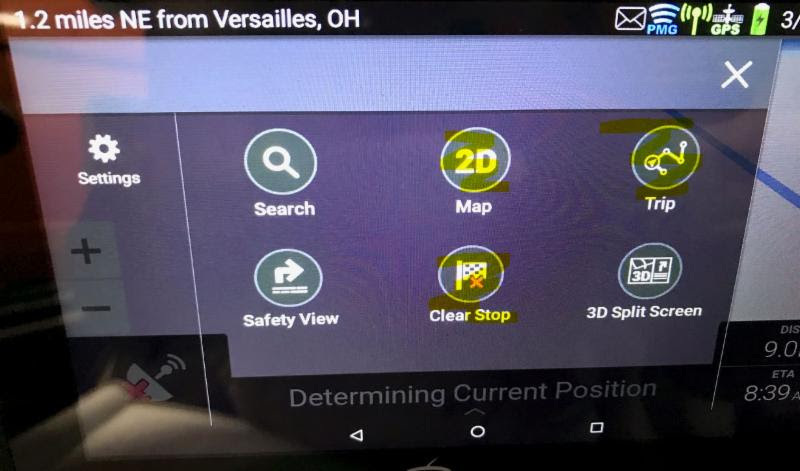 The three you will use the most are the 2D Map, Trip, and Clear Stop. Trip- This is what you will want to tap if you want to see step by step directions to your trip. Once you have hit that button, the below screen will pull up. 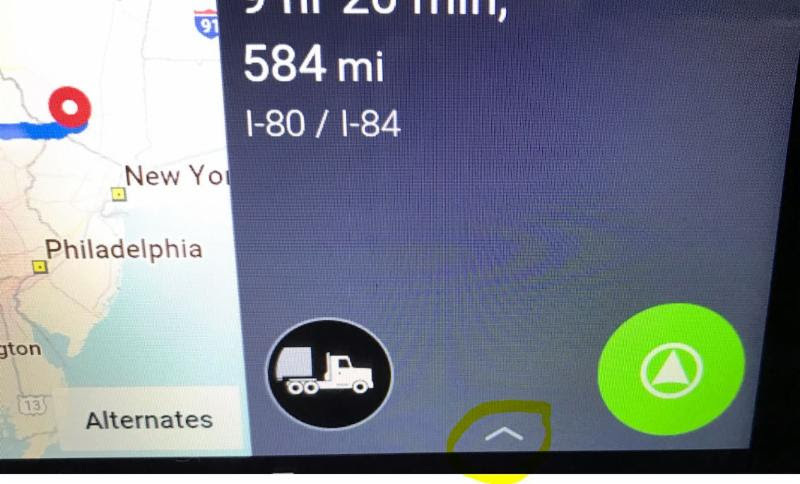 You will need to tap the small ^ between the truck green icon. Once you tap on that, step by step directions pull up! To close out the directions, you just tap the down arrow at the top of the directions page. 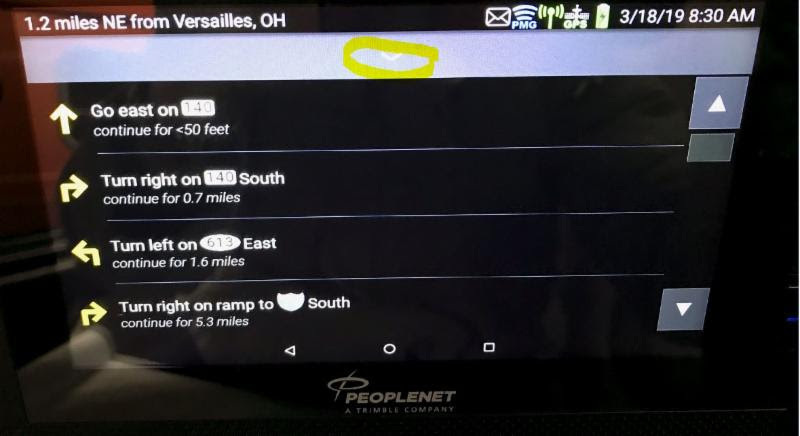 Cancelling Routing- to cancel routing, once again tap the white circle on the directions page. 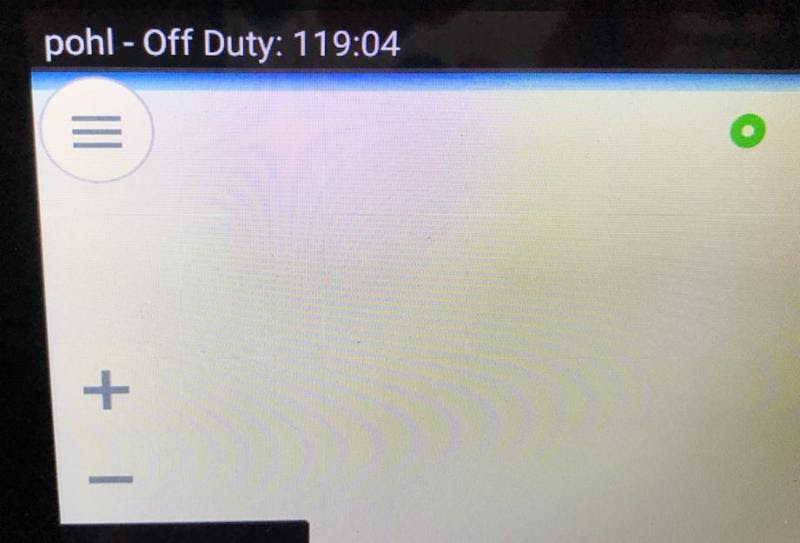 Then hit Clear Stop, and the below options will come up. Routing- if you have cleared out your routing and would like to request it again, simply go back to your workflow and hit the Route button on the leg of the journey you need.